MERS & other respiratory PANDEMICS: ARE YOU IN CONTROL? You, as a health care worker dedicate your life saving other people’s lives. You have done everything recommended by the Health authorities to prevent but are always under the threat of a new outbreak and faced with infected health care units due to many causes. Pandemics are a current threat as well as endemic Hospital Acquired Infections and Chemical &Biological terrorism. But, do you have the whole picture clear to Prevent and be in Control when MERS & other respiratory PANDEMICS happen? As a contribution of an independent field worker, allow me to hand this text into you to raise attention for the need of a holistic view of the problem. NO MATTER HOW MANY TIMES YOU CLEAN your hospital interior spaces will not be free from pathogens until the WHOLE INTERIOR space is treated with a 6 log kill agent. Be aware that most of the disinfecting agents applied by fine mist or vapor cannot reach deep in porous materials, textiles, curtains etc. (capillary effect), and these materials are present in every room… Be critical! SOLUTION: Use the right Hydrogen Peroxide based formula delivered with the right capacity equipment, take samples after the job and validate the cleaning. NO MATTER HOW MANY TIMES YOU CLEAN your Hospital Units will not be free of pathogens until the DUCT SYSTEM is cleaned. If your duct system is like the one in the above photo from an operating theater of a Hospital you have there the breeding ground for all sorts of pathogens. The contaminants are pulled into the HVAC system and re-circulated many times per hour when you have the right designed HVAC. Dirty air ducts can greatly add to the problem because they tend to build up large amounts of linen fibers that become a thick blanket that attracts bacteria, dust, and mold. 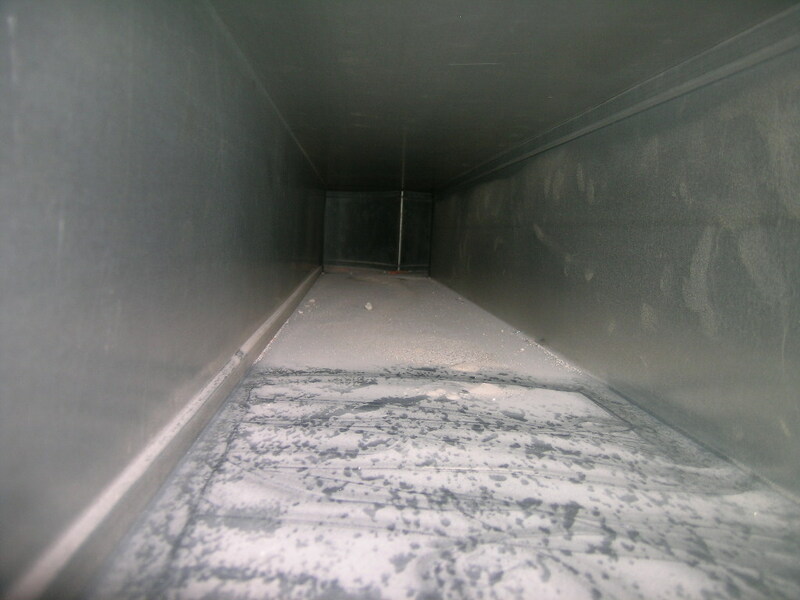 SOLUTION: Are your ducts inspected on a regular basis, typically this would mean surveys being carried out each `quarter` so all systems are inspected at least annually. Note: The air-conditioning system is a highly effective mechanism to deliver clean air at the right temperature. Water and organic materials, a natural food source for molds and bacteria are naturally drawn through the air-conditioning system return air and outside air ducts, mixing plenums and amplifying them on filters and coils. Air quality in isolation wards, operating theatres, intensive care units and other critical care rooms (which must have independent/isolated HVAC to avoid cross contamination) may also be compromised by an imbalance of space pressures. The uncontrolled movement of air will transport a steady supply of airborne contaminants into these areas. Jose Madeira Expert in Bio-Decontamination/Disinfection, 20 years delivering results for the Navy (FIVE Aegis frigates CBRN prepared), Hospitals (ICUs, BICU/ Burn Intensive Care Units, operating theatre), Airplanes, Food processing, Ambulances & Helicopters, Clean Rooms for Labs and for the Aviation maintenance industry. Responsibility for the information and views set out in this article lies entirely with the author. Reproduction is authorized provided the source is acknowledged.